Canon 70D Vs 7D Comparison. Specifications. Quality. Which is Better? Here is Canon 70D Vs 7D comparison of the major specifications. The similarity in the names can cause confusion. These two cameras have a lot of similarities. Below I've highlighted some of the small differences. Both of these cameras have the 19-point auto-focusing systems. This is a significant improvement over the Canon 60D. The 70 takes the physically smaller SD cards and the 7D takes the larger CF (compact Flash) memory cards. I originally had a bias toward the larger cards, thinking that they would be sturdier, but I've never had a failure with either type of memory card in any of my Canon cameras. Both have the pop-up built-in flashes. I am personally not real happy with the performance of these under-powered flashes, but they are quite popular with most photographers. Although the 70D has the more advanced digic 5+ processor, the 7D has DUAL Digic 4 processors which makes their processing speed fairly similar. 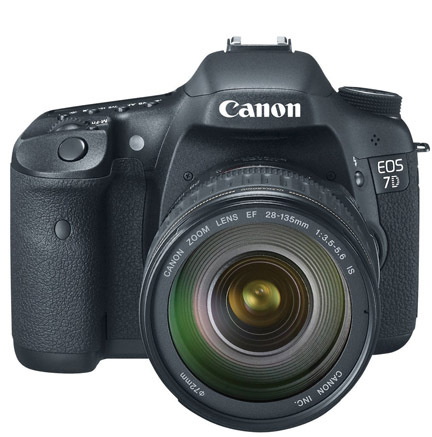 Rumors are that Canon will produce a new version of the 7D, most likely called the Canon 7D Mark II. 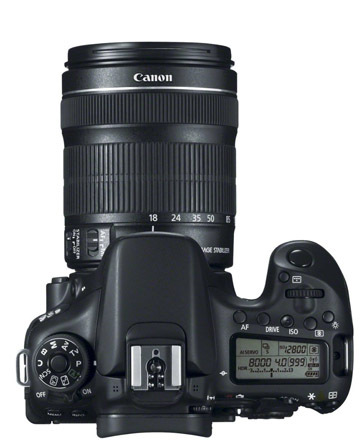 It seems predictable that Canon will offer an 80D in 2014 or 2015? The difference in the number of pixels is often over-hyped by all camera manufactures because we consumers often get tricked into thinking if there are more megapixels then it must be a better camera. The Canon 70D vs 7D debate should not be swayed but the slight difference in size. They are both have APS-C overall dimensions and will produce very similar results, particularly in the "normal" lower. ISO ranges. The 70D is quite a bit newer and has several advances in technology included, particularly with respect to video photography. 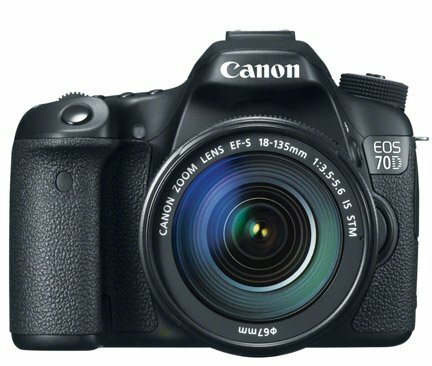 Canon marketed the 70D by emphasizing its video capture features. The Dual Pixel AF and the Swiveling Screen make it superior to the 7D for shooting video. Both of these cameras have the sharp focus lens micro adjustment feature to fine tune your lens to your camera for optimum sharpness. Both of these cameras have good weather sealing. They both have APS-C sized sensors and take the same EF-S lenses. Viewfinder coverage is excellent with both (98% and 100%) so that really won't effect your shooting at all. Many of the Canon 70D accessories are good for the 7D too. The Canon 70D battery is the LP-E6 and is the same for the 7D as well. Shoot more photos. Watch less TV.